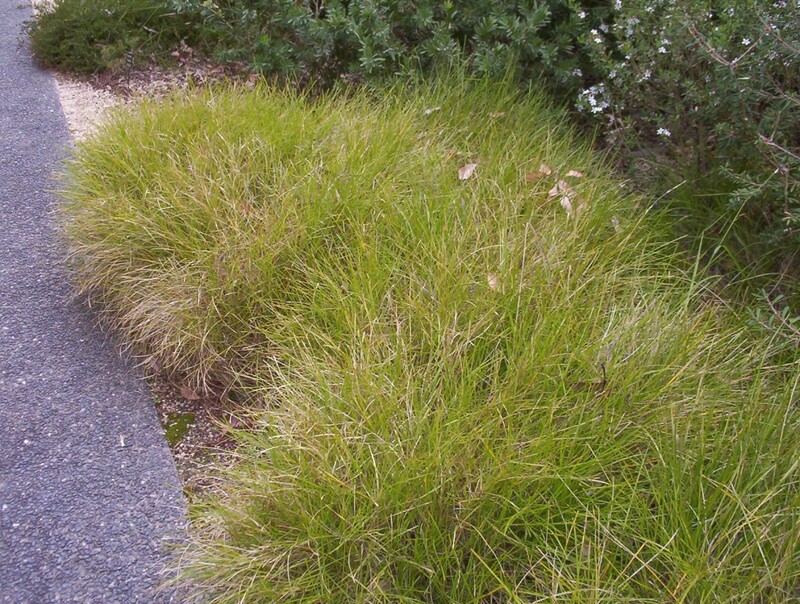 Grasses and tufted plants have been popular in gardens for a few years now. Many are used in rockeries very successfully. Others are used as border plantings. This tufted plant has been around for a while and has proved to be hardy in many locations. This particular selection has been promoted in garden centres for some time. In the photo it is being used as border plant. 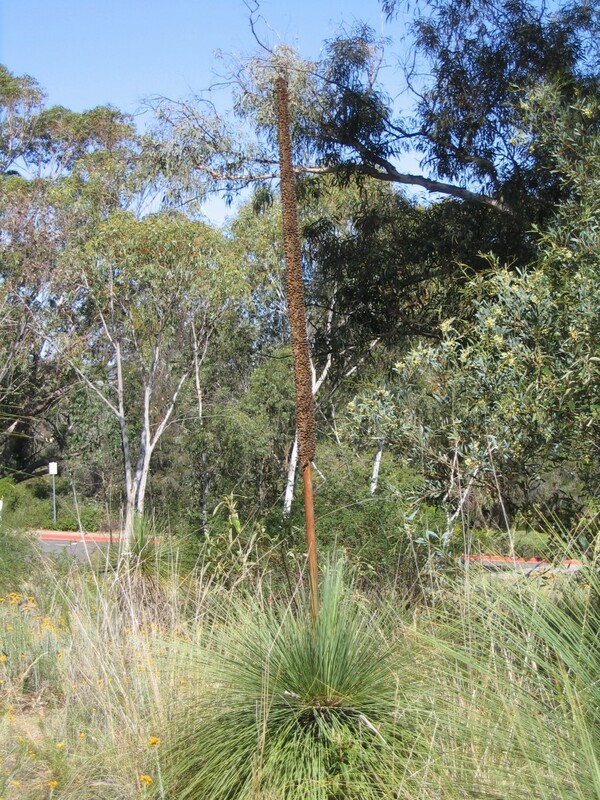 Lomandra confertifolia originates in Queensland with some forms appearing along the coast to Sydney. The requirements are generally filtered light and good drainage. This small form seems to be hardy in more open positions. Generally they tolerate light to moderate frosts. Grasses can be seen in this use also here. 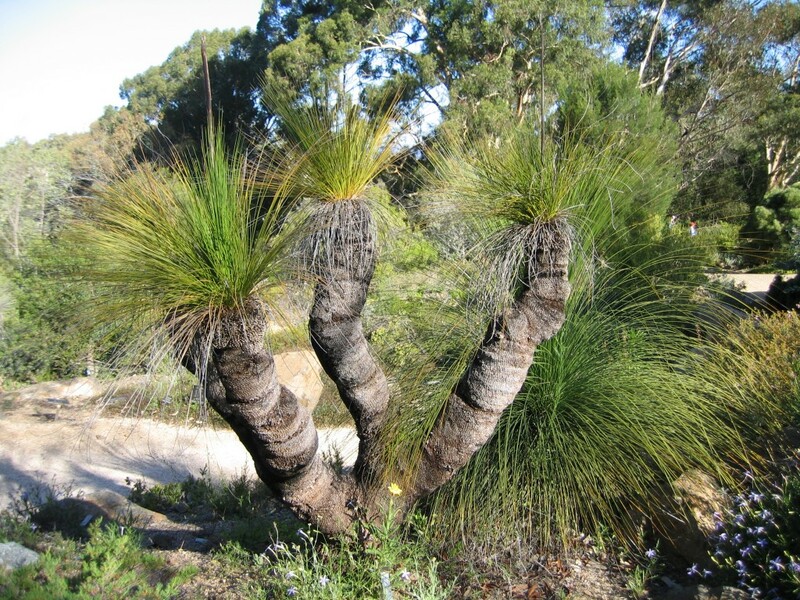 This photo was taken because it was fascinating to see the age of these Grass Trees. The walking path passed between these two trunks. 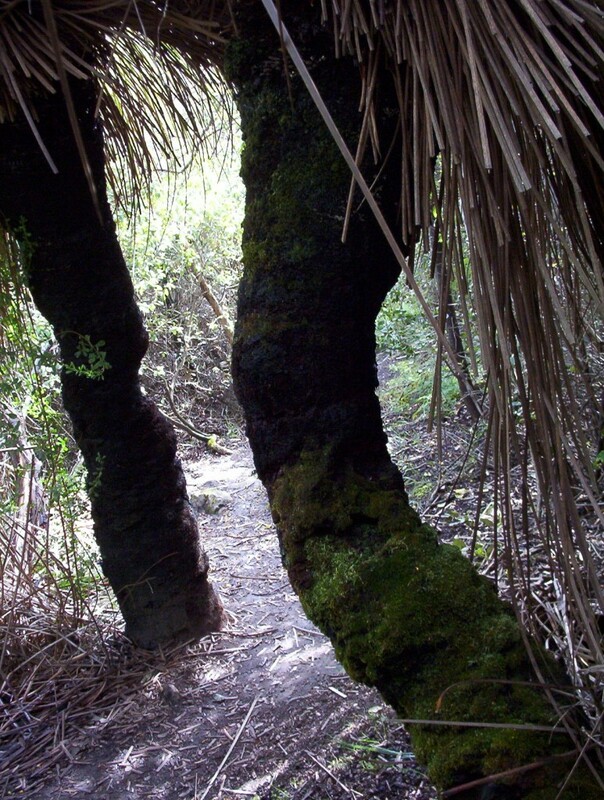 There is moss growing on the trunks. I would love to at least see my little plant make the canopy of leaves showing on these. This plant seems to be a very hardy one once established. The flower stalk can be up to two and a half metres long. They often have a kink or distortion in the spike.